This is a very hard to find antique Edwardian Gorham Whiting sterling silver Buttercup sash dress buckle that was never monogrammed. It is very big and showy. Size is 3 3/4″ tall by 2 7/8″ wide across. 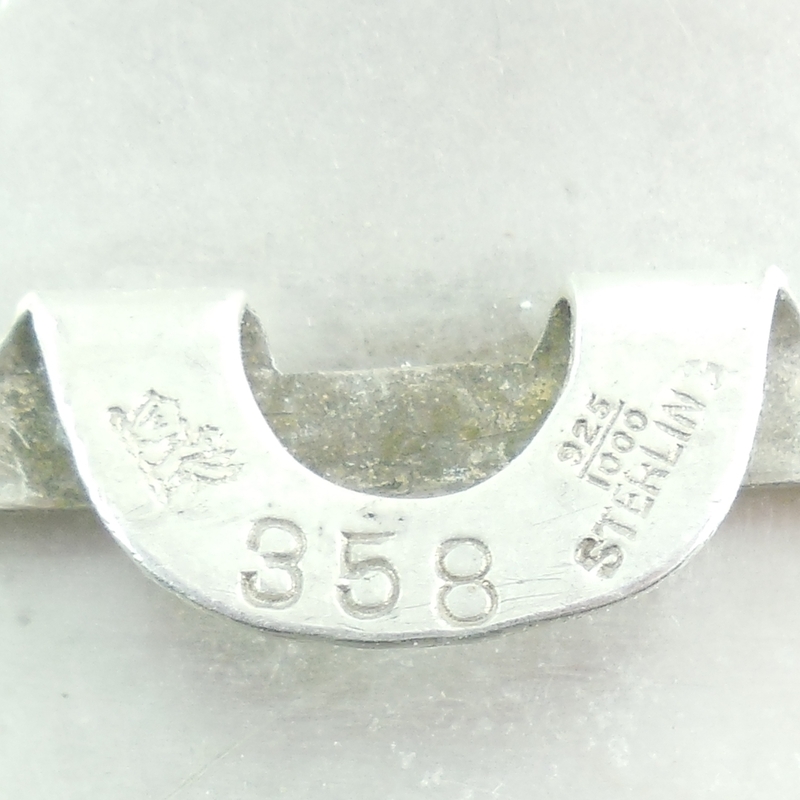 The back is numbered 358 and has the old Whiting Hallmark as well as sterling marking and 925/1000. The fancy pattern is still deep and crisp. Weight is 39.1 grams. 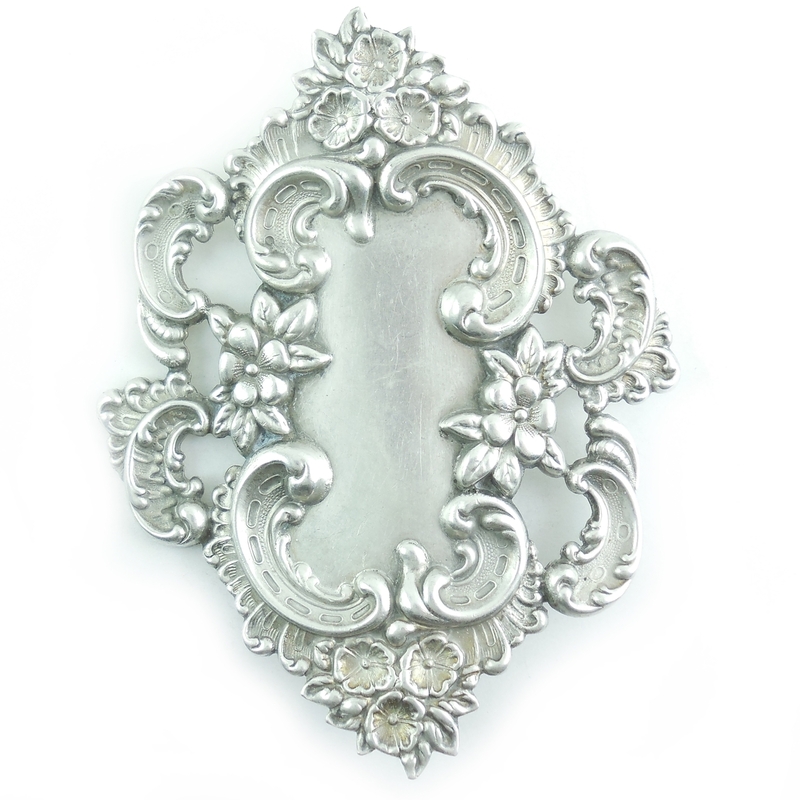 This is a gorgeous, rare buckle for your antique clothing or fancy silver collection. 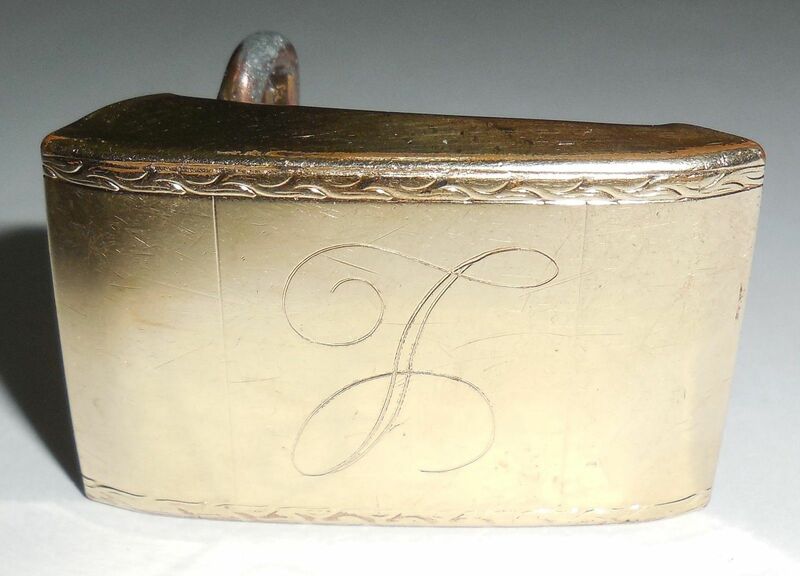 Art Deco 10K Gold Filled 1" Belt Buckle T Initial or L. Mens or Womens. Very good vintage condition. All gold filled intact. Please see photos and read product description for more details. 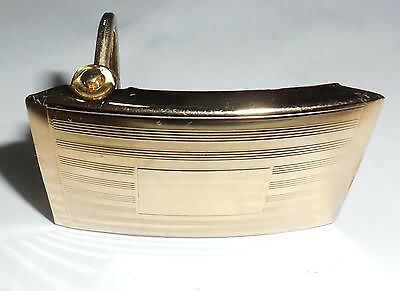 This is an early Swank 1930s Art Deco 12K gold filled belt buckle in excellent condition. Marked 12K GF. It is very thick and solid. Never monogrammed. Size is 1 13/16" long by 1 1/8" wide across. Will fit a 1" belt. Part of a group of old store stock buckles. There is very minimal surface age wear and the front is in gorgeous crisp clean condition. It still even has its original bright, shiny gold finish. The back is tarnished, not polished out. 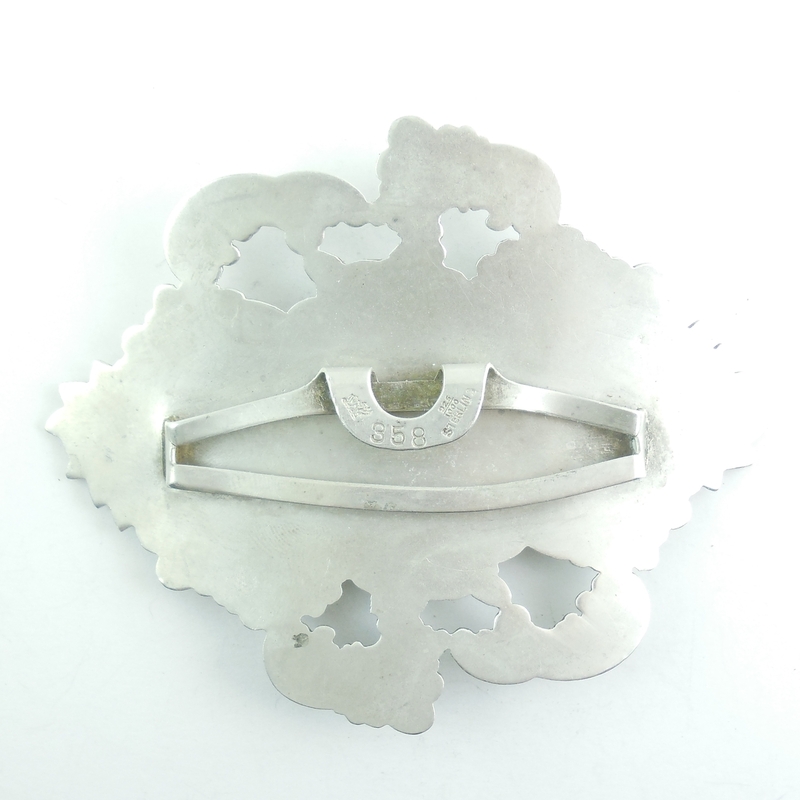 This is a lovely period buckle for any Art Deco accessories or mens/wowens jewelry collection. Antique Victorian Sterling Silver Boot Shoehorn Parts Group 2 - This is a group of 2 antique Victorian long handled large and extra large sterling silver boot shoehorns in "as is" condition and "for parts only". One handle is marked sterling and the mark on the other has worn off with age. Both have age wear. 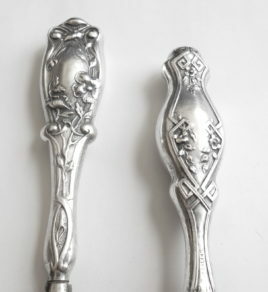 Both are tested and Guaranteed to be original, Victorian hollow handled sterling silver......Not plated. The horns on both are extremely worn and pitted and will need to be replaced OR the handles can be repurposed for other items like flatware, magnifier, tools etc...Size of the larger shoehorn is 9" and the shorter shoehorn is 8 3/16". They are from an antique Victorian estate group and were never monogrammed. Nice early items for anyone who can replace the horns or repurpose them. 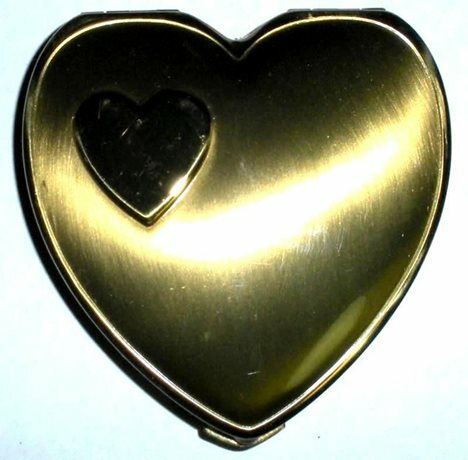 Never used, in the original box and in beautiful condition this is a lovely 1940s Art Deco Sweetheart compact. Part of a group of really old store stock accessories. It is 2 7/8" tall by 2 5/8" wide. It also has its original puff and old tissue wrap. Any White spots you see are light reflection. Hard to find these War era "Sweetheart" accessories and in such beautiful condition. This is a lovely compact for your collection.